Most mornings I go for a walk around the farm. 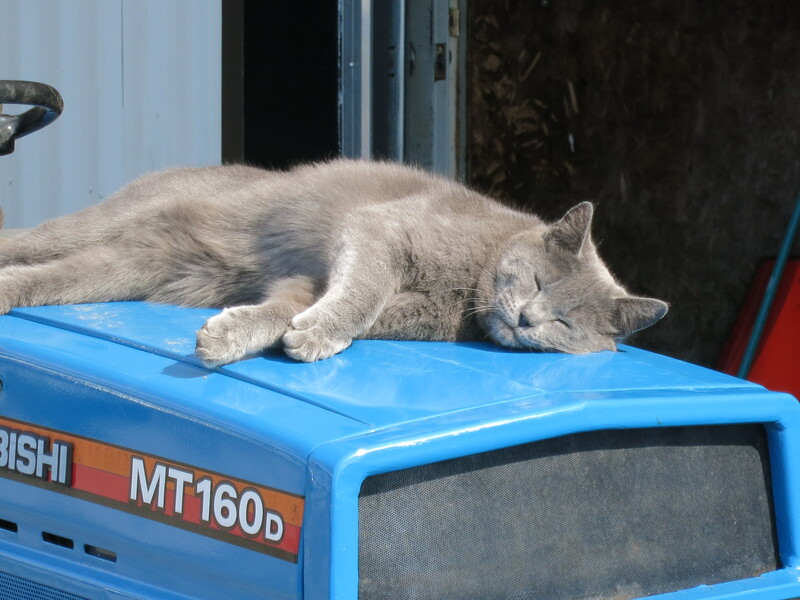 It is a good way to begin the day – exercise, fresh air, and a chance to look things over & see how the crops are growing. This time of year, I can see growth almost every day. While sunshine has been lacking these last few days, we have had plenty of precipitation, and it is slowly (too slowly?) warming up. 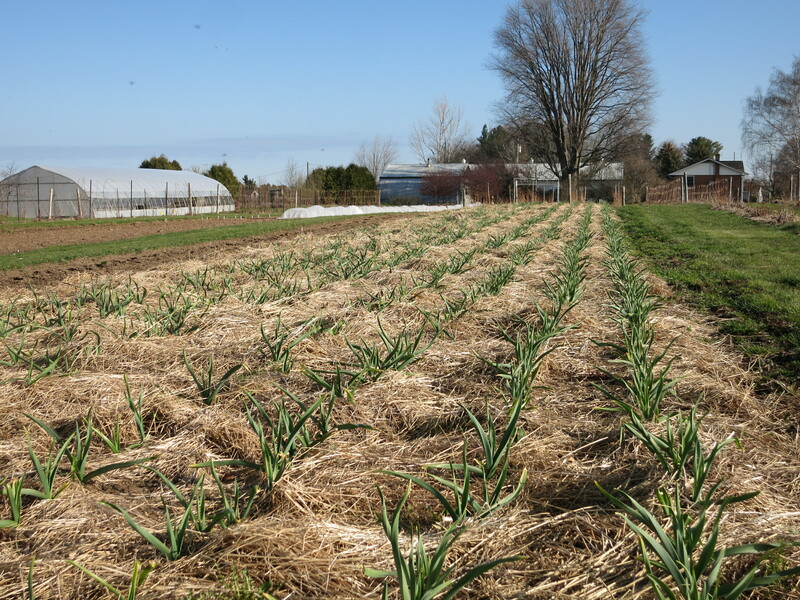 Many of the early spring crops prefer cooler temperatures anyway & are thriving. I usually carry the camera along on my morning walks. Pictures are an easy way to record crop growth & conditions, for future reference & comparison. After all, a picture’s worth a thousand words! Last week the first vegetables were just becoming visible. 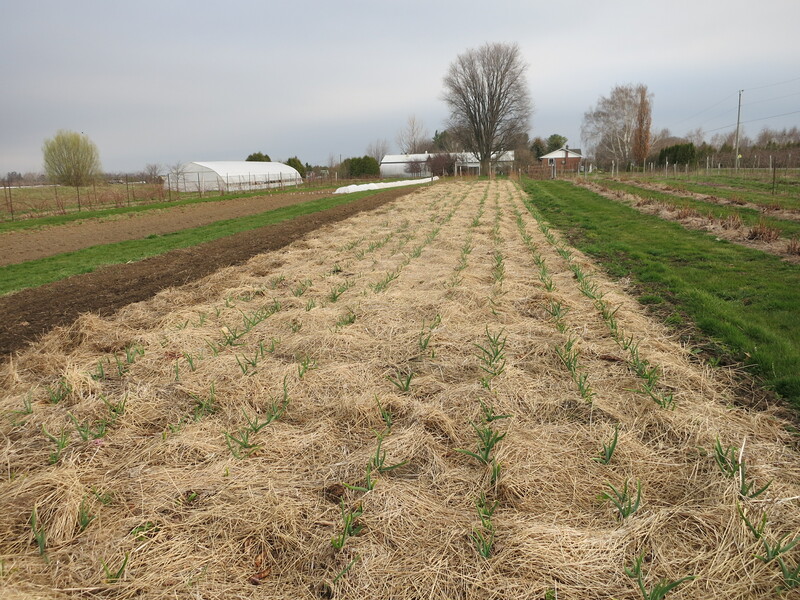 Today the rows can be clearly seen – snow peas on the left, spinach to the right. In between are beets, lettuce mix & of course weeds. 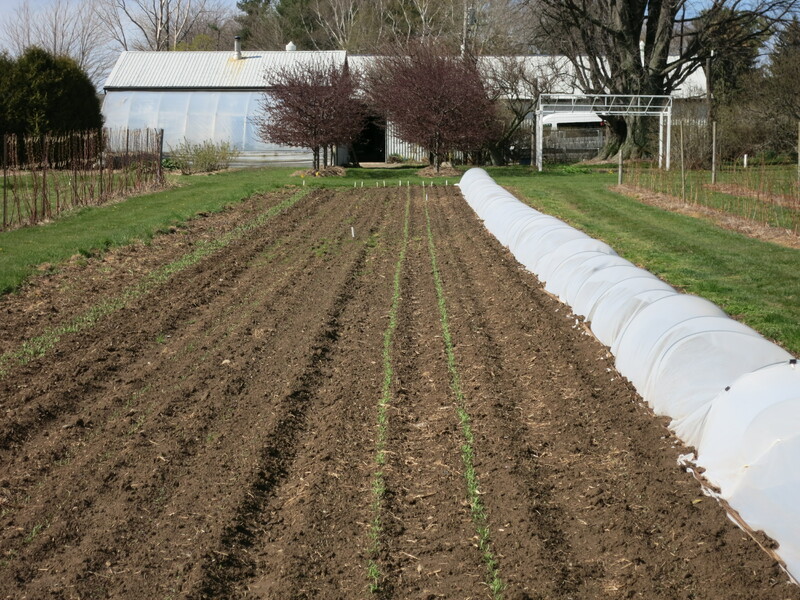 Radishes & various greens are hidden under the white tunnels. 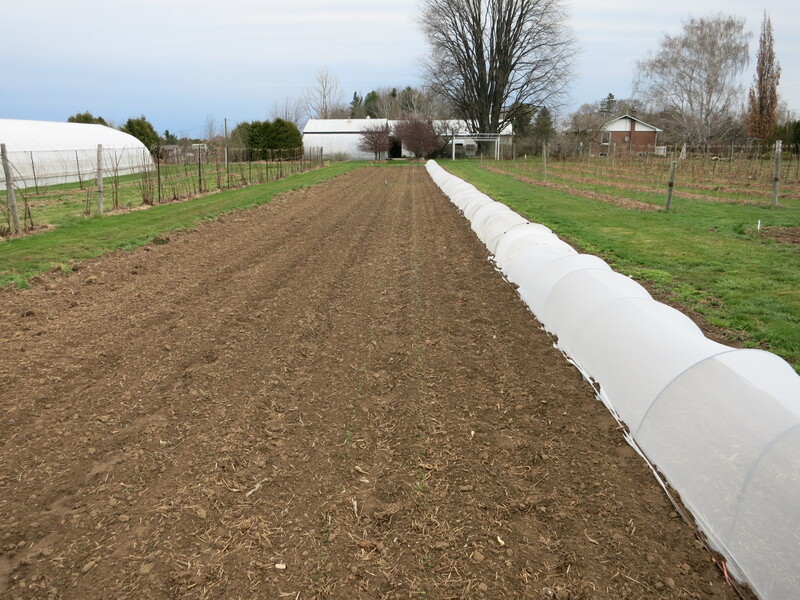 These tunnels are made of a fine netting material that keeps bugs out – bugs that would love to chew on the tender leaves & turn these greens into unappetizing lace. The raspberry canes are coming to life. 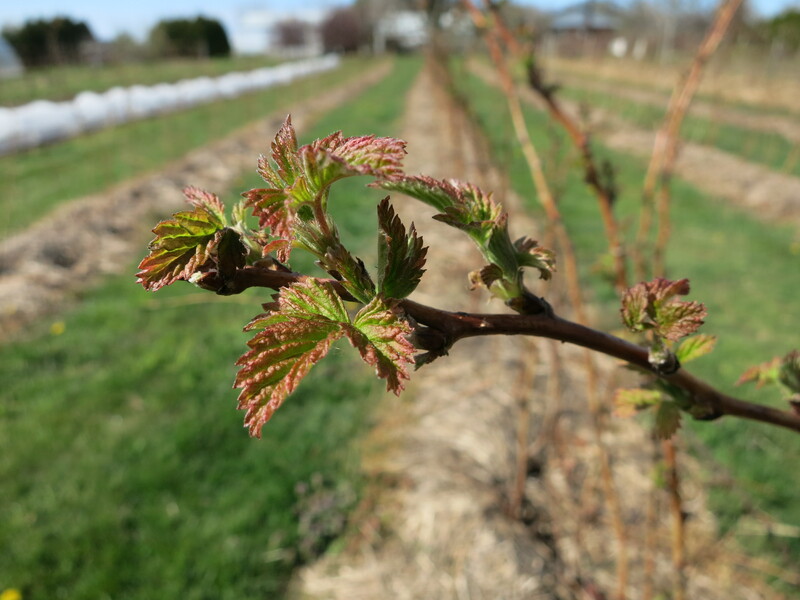 We are especially excited to see the leaves popping on the blackberry canes. 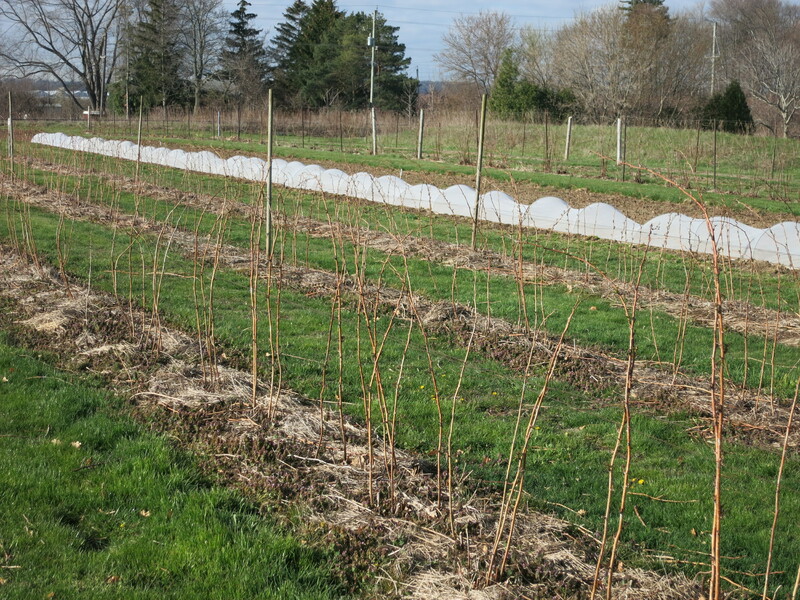 There has been no blackberry crop for 2 years due to winter damage. This past winter was milder & the blackberries are looking great. We anticipate a good crop! 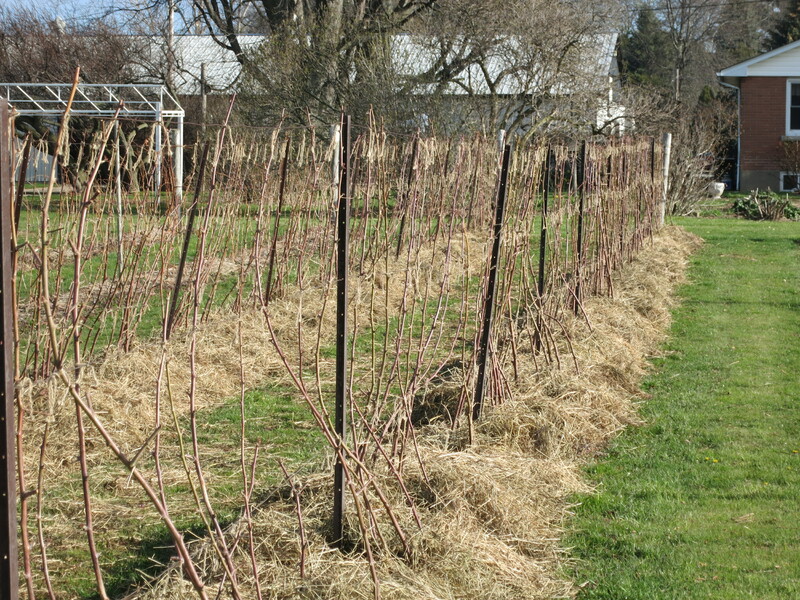 The plants are all pruned, & tied, and mulched. The straw helps keep the weed pressure down & preserves moisture. 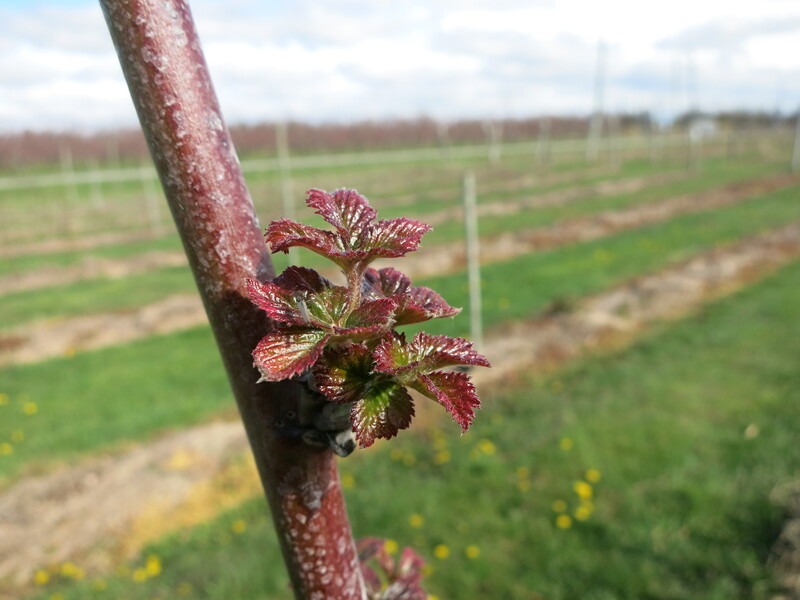 The new growth is beautiful – fresh & green with vibrant red. 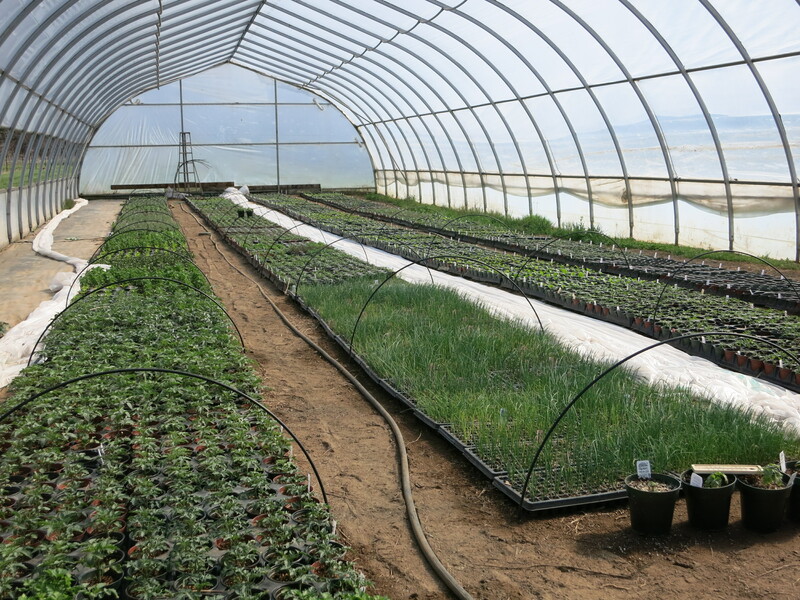 The big job on the farm these days is transplanting. Tomatoes, peppers, eggplant, herbs … All those tiny seedlings that were crammed in the small greenhouse earlier have outgrown their trays & need to be put into individual pots. These will be planted in the fields in the next few weeks, and many will be sold at our farmers’ markets for customers to plant in their own gardens. 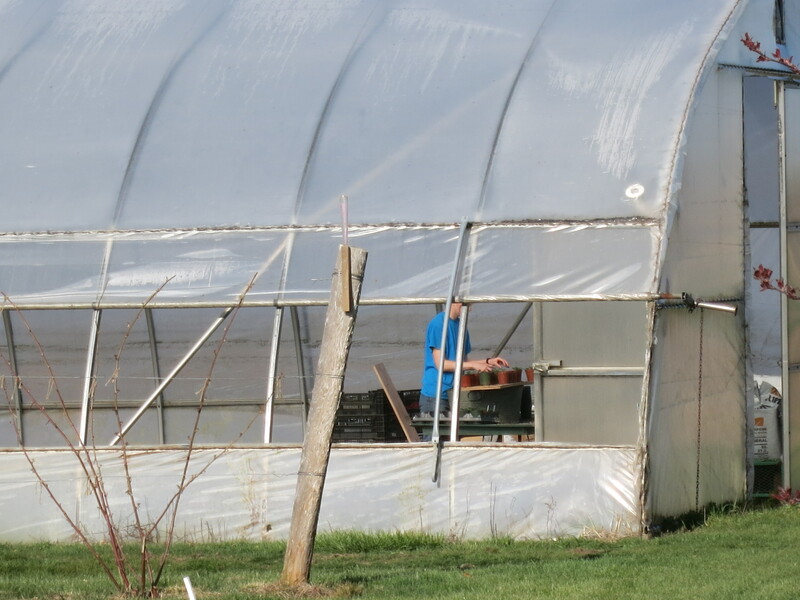 Another day or two and our larger greenhouse will be full to overflowing. Thanks for your emails, love them. So are you coming to the East York’s farmers market this year? Hope so. Sorry, you will not see us at East York market.